Join us for our NEW HAPPY HOUR! There is nothing more comforting or more southern than fried chicken. 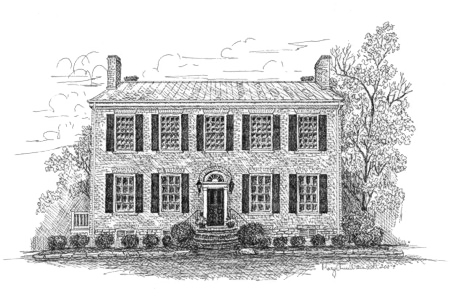 At the Tousey House we like to share our southern hospitality with our guests. Join us for a true southern fried chicken dinner. Come in to the Tousey House and unwine with us mid week. Select bottles of wine from our extensive wine list at half price. Our Bar Manager Greg is famous for his hand crafted martinis. Stop by and join us for your favorite martini creation and let us show you why. From The Russian Quelude to our signature Tousey-Tini we are certain to have something you will rave about. 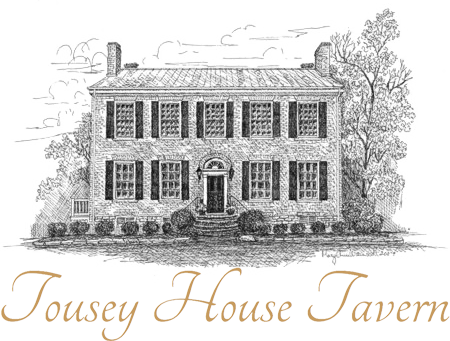 After a long week of work let the Tousey House help make your dinner decision easy. Our Executive Chef personally prepares unique features to exceed all of your dining expectations. Come in, hear the incredible weekly specials and let us pamper you a bit before you start in on your weekend plans. Saturday night should be decadent. Let us tempt you with a succulent dish that is the toast of Burlington. Our chefs have prepared a slow roasted prime rib served with house made creamy horseradish and natural au jus. Give Sunday the relaxing start it deserves. Let the Tousey House take all of the stress out of Sunday brunch. Our exclusive brunch menu featuring exciting breakfast items accompanied with a few of our signature items.